Hard work on any routine, even if eating perfectly, just never paid off as well as when I added a good supplement stack. Learn about some great stacks right here. Proper supplementation is critical to your bodybuilding success. This is even truer if you are someone with less than perfect genetics, if you are older, or if you are natural. In all my years of training, I have always gotten my best results from using a good supplement "stack" along with my workouts. Hard work on any routine I've ever used, even if I was eating perfectly, just never paid off as well as when I added a good supplement stack to what I was doing. 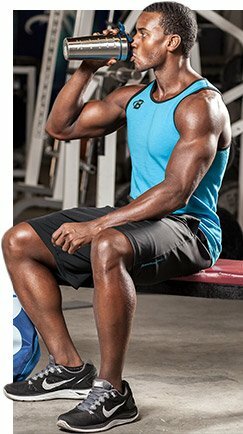 In this article I will outline various supplement stacks and when to take each product in the stack. First off, before you even think of running out and loading up on all the latest exotic supplements, you have to take a look at your eating habits. Supplements are not meant to replace food or make up for a lack of food. They are meant to "supplement" your eating plan to maximize results. The first and most important consideration for any bodybuilder is protein intake and timing. If you want to gain muscle, you have to eat enough protein, period. You are looking at 1 to 1-1/2 grams of protein per lb. of body weight. You need to eat every 3 to no more than 4 hours. Your protein sources should come from food first and from a good powder second. 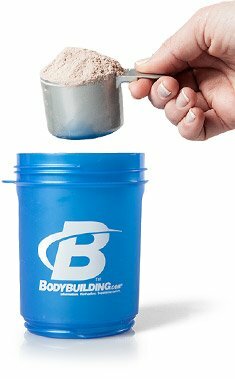 The protein powder is ideal for those times when you just can't eat a meal. It is also ideal for right after the workout and first thing in the morning and at these two times, should be combined with simple carbs. Of course, every meal should be a combination of protein, some fat and slow-burning (complex) carbs. Don't fall victim to this whole low carb thing. What you need to remember about carbs is that they are needed for energy by the body. Except for after the workout and first thing in the morning, if you stick to complex carbs and only take in enough to cover your energy needs—2 grams per lb. of body weight is a good place to start—you will not get fat from eating carbs. "What you need to remember about carbs is that they are needed for energy by the body." Whey Protein Isolates: This is the purest form of whey, containing 90 to 95 % protein and very little fat or lactose. Whey Concentrate: Not as pure as whey isolates, the protein content can vary from brand to brand. Hydrolyzed whey breaks the protein down into smaller segments (peptides). This makes it easier to digest. Metamyosyn Protein Blends: These are high quality milk protein based blends composed of whey and casein. This protein takes advantage of the reasonably new concept of fast and slow proteins. What does this mean? It means that whey protein absorbs and digests fairly quickly. Milk-Based Protein: Milk-based protein on the other hand, takes longer to digest, which means that if there is an occasion when you know you'll be going along time without protein, you'll want a slower digesting protein source. One such critical time is when you are sleeping. 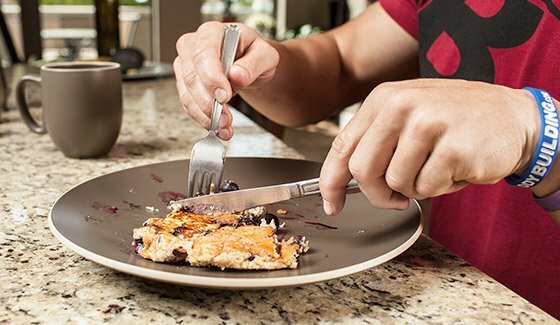 You are effectively fasting from your last meal before bed to your first meal of the morning—you need to prevent muscle breakdown, or that catabolic state where the body feeds on muscle tissue to meet its needs. So a slow protein makes sense, as it also makes sense to get that quick protein shake in the morning. What is critical to remember about protein is that you will not make gains without it. No one thinks of multivitamins when shopping for supplements, but they should. A good multiple insures you are getting enough of all the nutrients your body needs to function properly—many of these "functions" being tied into the various aspects of building muscle. This, along with protein, is the two critical supplements. "A formula product will work better than any single element on its own." Multi vitamin: Taken once a day with a meal. Creatine Ethyl Ester: This is one of the newest forms of creatine, absorbed much better than the standard monohydrate version, no loading required, no extra sugar intake required, you take it twice a day, once right after you train, the second dose 6-8 hours before or after, always wait 30 min to have your protein shake or meal as protein can hinder the absorption. Nitric Oxide: Enhances the pump, will increase size and strength. Take 3-4 tabs or caps 3 times a day on an empty stomach. Pre-workout drink consisting of caffeine, creatine, NO—really, you can just take this about 45-60 min pre-workout. Glutamine: The most abundant amino acid in muscle, aids recovery - add 10 grams to your pre workout drink and 10 grams to your post workout shake. Tribulus terrestris: The current primary herb used in virtually every testosterone formula. The active ingredient is called protodioscin, look for an extract to be standardized to no less than 45% protodioscin. As a point of reference, herbs come in more than one form, such as whole herb, root or leaf. Look for a bottle that says "standardized extract" because this guarantees the potency of the active ingredient, whereas without that on the label, the active ingredient potency can vary quite a bit. Long jack: A rainforest plant that seems to directly enhance the body's production of testosterone. Zinc: Involved in testosterone synthesis, and in protein synthesis, among other things. 6-Oxo: This helps reduce estrogen levels. It's actually often grouped with the now banned pro-hormone products, and was touted as one of the first replacements after the ban. There are many other herbs that find there way into these formulas, I've only listed a few. There are also several formulas that liken themselves to pro-hormones by using chemical or steroid sounding names. Stick to popular brands when buying a product of this type. I recommend the following brands: MHP, iSatori, BSN, Pinnacle, Higher Power. A product containing several of these elements will promote increased production of testosterone in the body—it does this naturally, by enhancing the body's ability to release testosterone. As well, a formula product will work better than any single element on its own. These are not nor should be confused with steroids. Take 3, 3 times a day with a meal. Omega 3 Fatty Acids: Involved in hormone production, acts as a joint lubricant, among many other uses. Take 1, 3 times a day with a meal. Joint formula: Should be glucosamine based for joint protection. Take 3 times a day with a meal—your daily total should be1500mg glucosamine to 1200 chondroitin, so depending on the strength of your product, you may have to adjust your daily dose. Cortisol blocker: Phosphatidyl-serine - cortisol is called the catabolic hormone due to its muscle breakdown effects. By blocking cortisol release, you keep testosterone levels up. Take 1, 3 times a day with a meal. This is the absolute best stack for natural muscle building. On workout days, take the pre-workout energy drink, with a serving of NO 45-60 min prior to training. Right at the end of your workout, take creatine. Wait about 30 min, have your post workout shake. Continue with the schedule as suggested. Because of the price and effectiveness of stack #1, the only place to go is down, in both price and results. However, you can get several good stacks, still get good results and pay a lot less (let's face it, not everyone can afford to pay a lot for supplements) if you are careful in what products you eliminate. This stack does eliminate several good products, but this is still a very effective stack. The above timing guidelines apply here. This stack saves you money by switching from a test formula to one product. However, Tribulus is almost always the foundation herb in most test formula products. By switching from creatine ethyl ester to the standard monohydrate version, you save money, get a product with quite a few more servings, and still get a very good product. With this version of creatine, you have to load—5 grams mixed with 6-8oz of fruit juice (apple or grape), 4 times a day for 4 days, then you just take 1-2 times a day. Between breakfast/lunch: a protein shake. On workout days, take a serving 60 min. before and take one with your post workout shake. This type of creatine does not seem to compete with protein for absorption. This is a good beginner stack, one that will produce results, and it's easy on the wallet. Use the same guidelines as presented for stack #3. How Long Should A Stack Last? As to how long you should be on any stack, other than the protein, multivitamin, omega and joint products which are taken continually, everything else should be taken 6-8 weeks, then go off for 4-6 weeks. What if fat loss is your goal? If you're trying to lose fat, and you're reading this, you should also want to maintain muscle. Fat loss is really a result of intelligent eating adjustments—calories are energy, you must take in less than you burn up, but that doesn't mean starving yourself (the classic dieting mistake) and the type of calorie is crucial. Protein: Keeping your protein intake high is critical when trying to lose fat, to maintain muscle mass. Multi Vitamin: To insure an adequate supply of nutrients when cutting calories. Thermogenic product: Based around green tea or guarana as natural sources of caffeine, should also contain things like chromium to help with sugar metabolism, these products will also have a mild appetite suppressant, such as HCA. Each product adds different supporting nutrients but the key is the increase in metabolism caused by these products. However, a good thermogenic will not only enhance your metabolism it will provide support to all aspects of fat loss. Cortisol blocker: As a fat loss product, this helps prevent binge or stress related eating. If you can't tolerate caffeine, your choices become limited. There are products such as appetite suppressants (HCA and Hoodia), there's CLA (helps to prevent fat from being stored), Chitosan (a marine fiber that helps you feel full and blocks fat calories from being stored), Cider Vinegar (controls sugar cravings), to name a few. A caffeine free "thermogenic": They're out there, and this would be a better choice than some of the items listed above. There you have it, good stack suggestions to meet everyone's goals and wallets. Try one of these and see how well it can work for you.